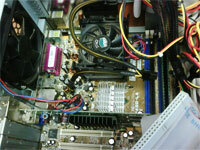 Computer Repair, Sales, and B2B Services. No matter the size or complexity of your problem, the friendly staff of Computer Express will be happy to help. We have years of experience solving problems with all aspects of modern technology, including personal computers, networks, printer issues, wireless technology, and more. in Red Hook Plaza via our dropoff point at Red Hook Mail Services.